This is our current Pinball & Parts stock list. If you haven't found what you are looking for then please contact us, we can supply you with a wide range of pinball machines, accessories and spare parts. 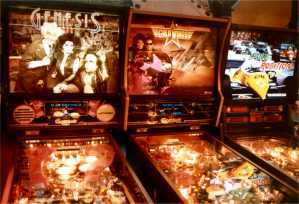 We also offer a Pinball repair- and restauration service. Your first visit here ? Then you might want to start with reading our FAQ's about Pinballs.